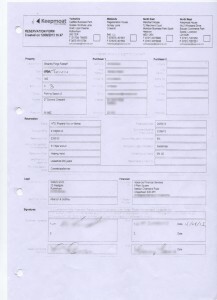 This page contains all the reservation forms that were created (or at least the ones we know about) by Keepmoat Homes. The first reservation form, created on 24th May 2013 before my husband left the sales office at 10:30, contains no mention of an annual management fee. My husband was back at work when the second form was created at 11:16 and this form contains an annual management fee of £175.00. The company my husband works for uses a key card system to log when staff enter and leave the building, we have proof that my husband was in work over 20 minutes before this second form was created. 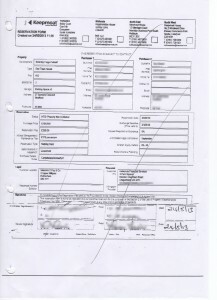 The third form was requested by ourselves on the 12th of August as we needed my name removing for mortgage purposes. 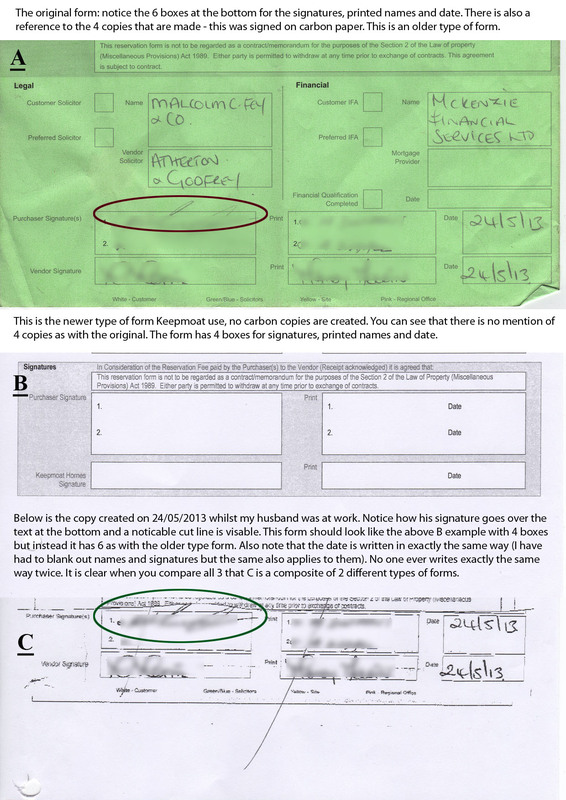 Neither of us looked too closely at the form because it was mean’t to be a duplicate of the original form but minus my details and with the correct solicitor details. 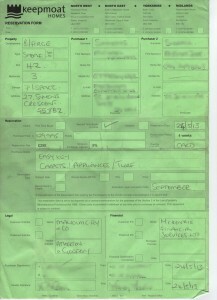 This form was sent straight off to PlumLife in order for them to process my husband’s Help to Buy application. 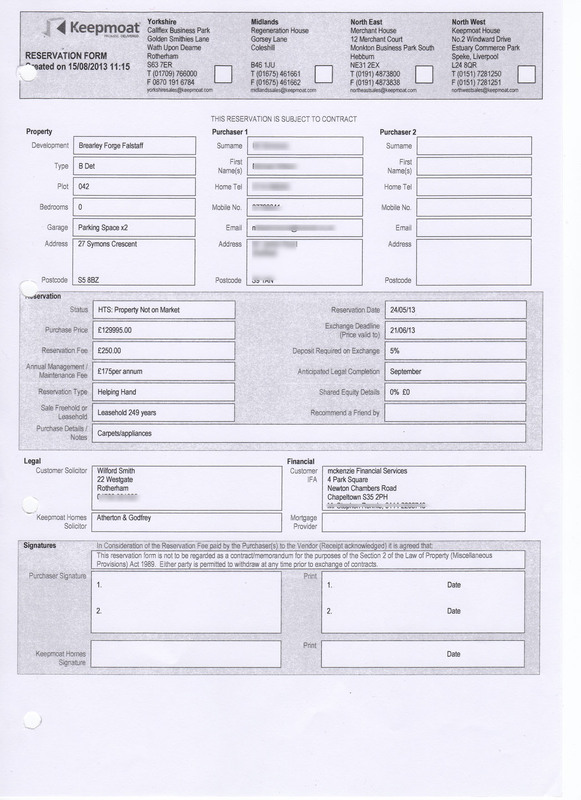 We only had another chance to look at this form again after Keepmoat processed our Subject Access Request. 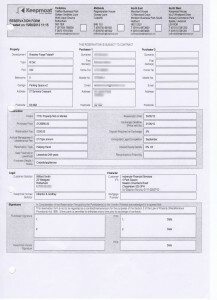 This form contains incorrect address and phone details and the £175 annual management fee. Mandy made no mention of this fee before my husband signed (I was present and witnessed the conversation, it was made clear to her we just needed a duplicate but with the aforementioned details amended/removed). The forth was created on the 15th August but we do not know why, I have included it as it helps to show the differences in the two types of forms used. I have also created a comparison of the different types of form in order to help you see why the second form is in doubt*. *I am being very careful what to write here as I don’t want to feel the wrath of Keepmoat’s solicitors. 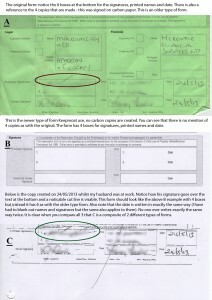 Comparison of the reservation forms created by Keepmoat Homes. 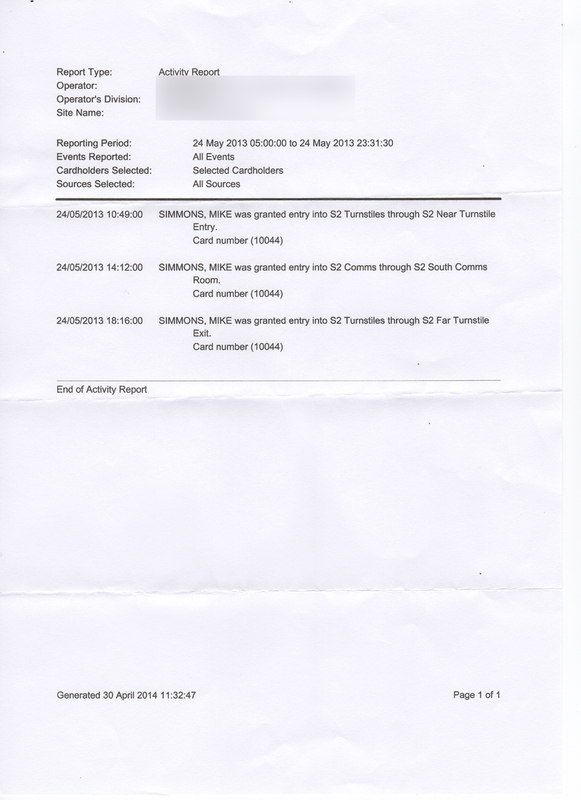 Original Reservation Form created on 24/05/2013. There is a receipt for payment of the reservation fee at 10:30. There is no mention of the Leasehold, Leasehold length or the Annual Management Fee of £175.00. 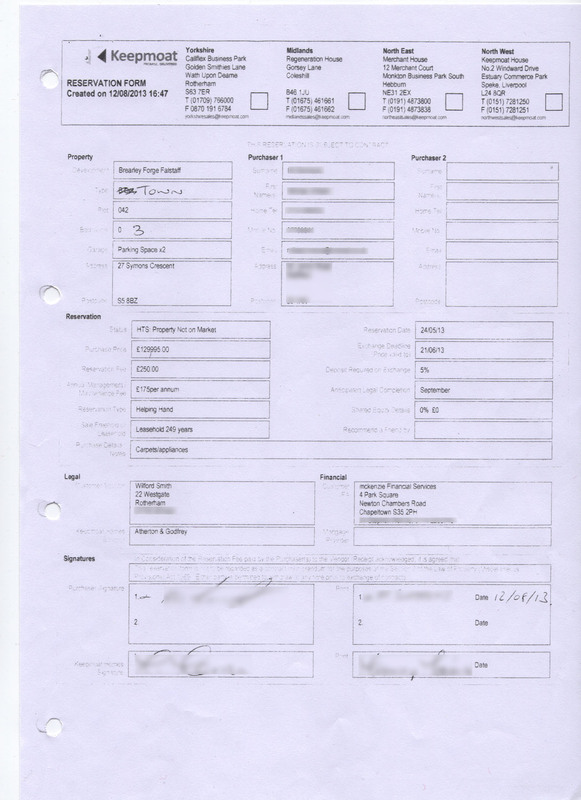 Original Reservation Form created on 24/05/2013. Close Up. New Reservation Form created on 12/08/2013 at our request. New Reservation Form created on 12/08/2013 at our request, showing bottom section only. 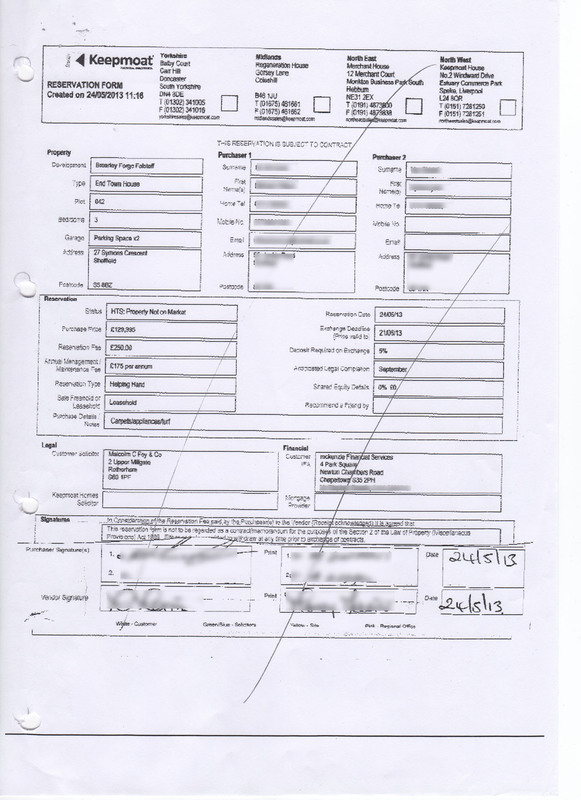 Unsigned Reservation Form created on 15/08/2013 by Keepmoat. We don’t know why they needed to create a new form. 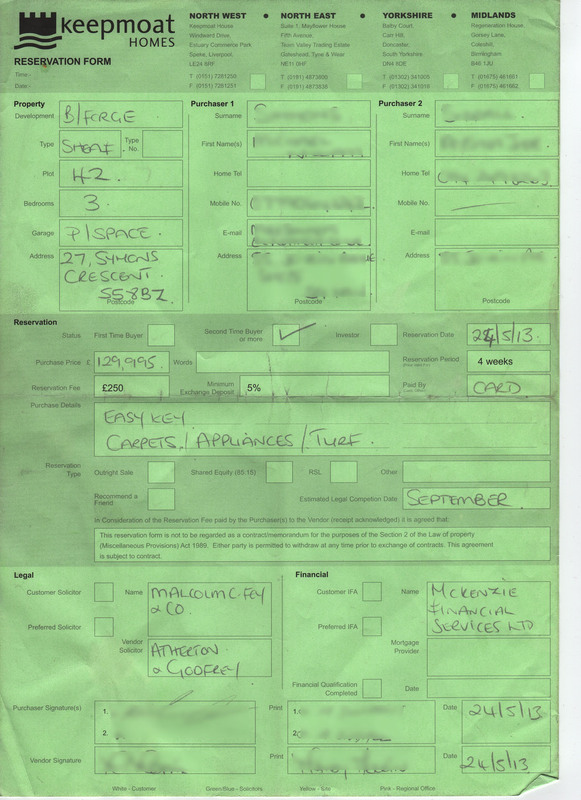 Unsigned Reservation Form created on 15/08/2013 by Keepmoat. We don’t know why they needed to create a new form. Close up of bottom section.